Have you ever tried peeling asparagus into ribbons? 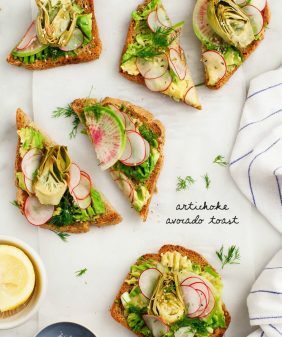 Lightly crisp, fresh & delicious, they're just the thing to top these yummy spring-themed toasts. If you love asparagus, but the people you’re living with don’t, this post is for you. Even if you’re just blasé about asparagus, like I used to be, give it a chance by ribboning it! 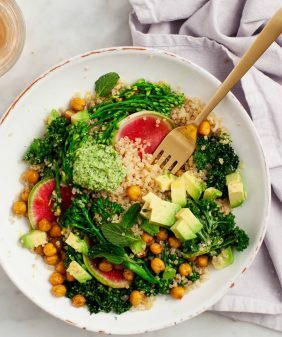 The thin, raw ribbons tossed with olive oil, lemon juice, salt, and pepper are so fresh and delicious that you’ll completely avoid the unpleasant fibrous, stringy experience that asparagus sometimes causes. 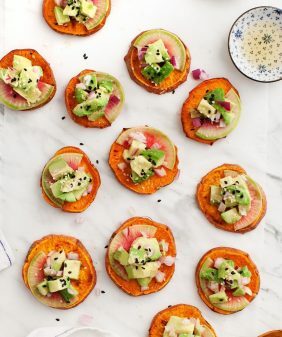 You can toss them in salads, put them on pizza… last weekend we ate them on fancy toast because these happened to be the ingredients that I had on hand. To make the ribbons, you need some fat asparagus (thin spears don’t work as well for this) and a sharp vegetable peeler. Peel the spears into thin strips and season them with olive oil, lemon juice, salt, and pepper. It’s amazing how the way a vegetable is cut can completely change its flavor. I assembled these toasts with my go-to pea and mint pesto. The peas make for a thick, veggie-ful pesto, although you’ll hardly taste them (a great way to hide more veggies). I used frozen peas because they’re so easy to keep on hand. 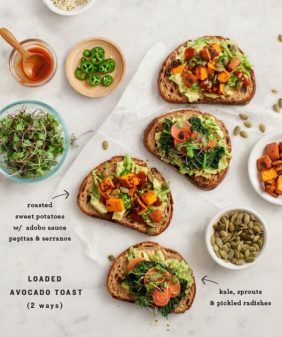 Assemble your toasts with the ingredients pictured above, or any variation of your choosing. Top with soft boiled eggs if you like, although they are optional! For more spring asparagus ideas, make a frittata, a breakfast casserole, or this grilled asparagus salad. 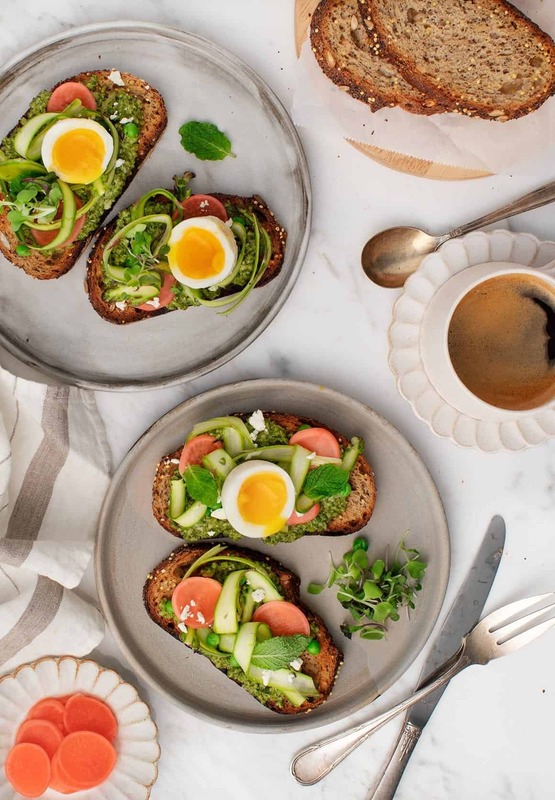 These fancy spring pesto toasts are a fun light lunch or dinner. 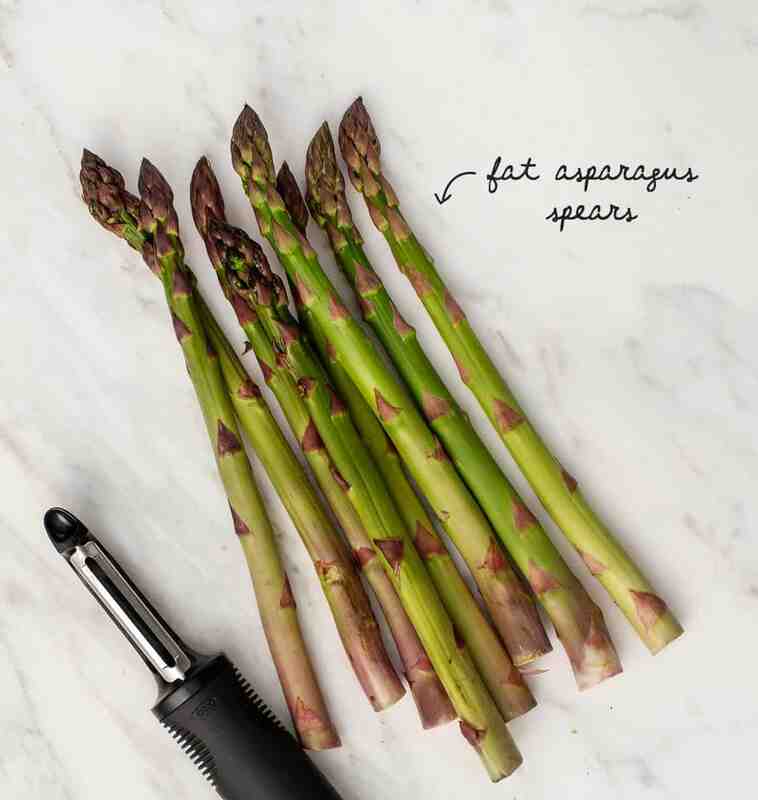 Easy to make, they're a simple, delicious showcase for in-season asparagus. Make the pesto. 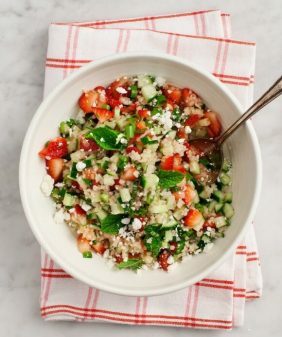 In a food processor, combine the pepitas, mint, parsley, peas, garlic, lemon juice, and salt and process to a coarse puree. With the blade running, pour in the olive oil and process until combined. In a medium bowl, toss the asparagus ribbons with a small drizzle of olive oil, a squeeze of lemon and a few pinches of salt and pepper. Assemble the toasts with the mint pesto, asparagus ribbons, radishes, peas, mint and feta cheese. Top with micro greens and soft boiled eggs, if desired. Great idea on making asparagus ribbons! 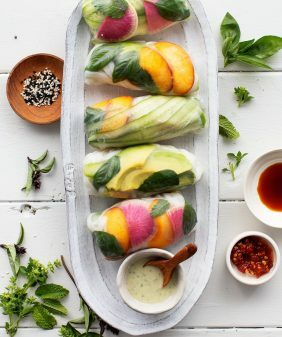 So simple, cute and tasty at the same time. So excited to try making pesto with peas!